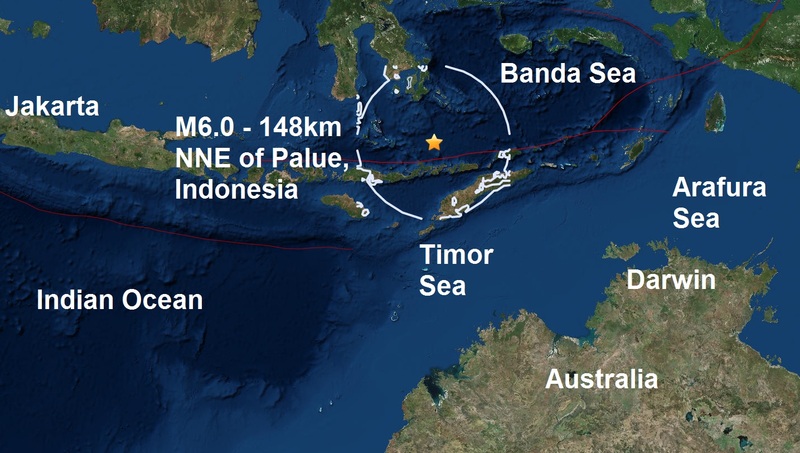 A magnitude 6.0 - 148km NNE of Palue, Indonesia is the third major quake of December, it is the 127th of 2016. 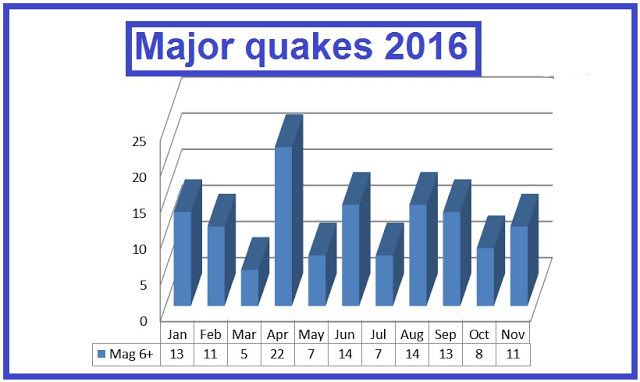 2016 could register the lowest number of major quakes this century in one year, with just over three weeks of December to go, another 5 or less magnitude 6 +ers would see the year total fall to less than 133. 2012 holds the lowest total so far this century with 133, with 2001 2nd lowest with 137. By far the largest amount for a 12 month period was of course 2007 the year of the Fukushima disaster with 207. Around 150 major quakes per year is the 21st century average.